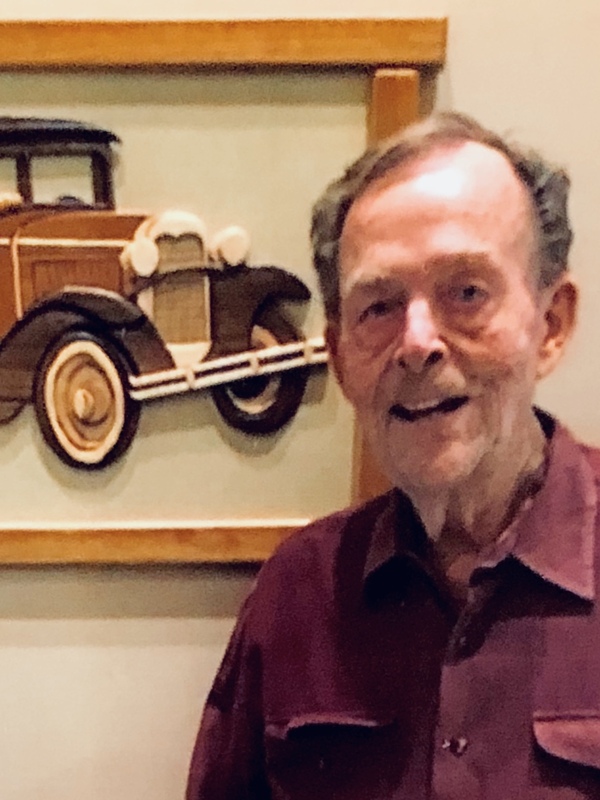 Larry A. Cassaday, long-time businessman and beloved family man, of Mesa, Arizona, passed from this life on Wednesday, March 7, 2018. The third of seven children, Larry was born on August 10, 1937, to Sylvester and Pauline (Altman) Cassaday of Hope, Michigan. He learned the value of hard work on the family farm. The Cassadays relocated to Arizona, where Larry graduated from Mesa High in 1955. He joined the U.S. Army (Airborne) and served in Lebanon and Germany. He was a skilled marksman and represented his country in U.S. military and NATO competitions. Upon his honorable discharge from the service, Larry returned to Mesa, where he met the love of his life, Emily France. They married on January 20, 1961 and purchased a small company called Mesa Fully Formed in 1969. Larry insisted on honesty, integrity, and quality as hallmarks of his business. Mesa Fully Formed has grown over the past forty-nine years to be a well-respected building subcontractor of countertops and bath components in Arizona. Larry appreciated old cars, especially the ’35 Ford Open-Air Roadster he drove in numerous parades. He bought a ’29 Ford Model A more than forty-five years ago, and it still runs beautifully. It was an original Arizona vehicle bought from a dealership here in the valley long ago. Larry supported the Suns, the Diamondbacks, the Cardinals, and his grandson’s football team, the Agua Fria Owls. He enjoyed horseback riding and owned several race horses, as well. Always comfortable in a plaid shirt and a pair of jeans, Larry appreciated good country music. Newlyweds at heart, Larry and Emily recently celebrated their 57th wedding anniversary. She survives, as do their two children, Colleen Kennedy (Mel), of Litchfield Park, and Kelly Cassaday (Heidi), of Victoria, British Columbia. Larry was proud of each of his eight grandchildren, Carson, Emily, Kyle, and Michael Kennedy, and Benjamin, Hudson, Luke, and Noah Cassaday, and his four great-grandchildren. Larry is also survived by his brothers, Calvin Cassaday (Janet) of Mesa, and Bruce Cassaday (Ellen) of Denver, his sisters, Connie (Don) Freeman, Carol (Jim) Freeman, and Ellen Devericks, all of Michigan, his sister-in-law, Carolyn Roberson of Mesa, and his brother-in-law, Bruce Dundas, of Florida. He is also survived by nieces and nephews Kathy Arthur, Karilyn Trent, Kirk Dundas, Keith Dundas, Doug Cassaday, Clark Freeman, Blaine Freeman, Kim Shea, Lori Fischer, Joel Freeman, Jeff Cassaday, Mark Cassaday, Tonya McDermid, Nick Cassaday, and Chad Devericks. Preceding him in death are his parents and his sister, Emma Jean Dundas, his niece Natalie McDonald, his nephew Rusty Devericks, and his brothers-in-law, Roger France and Russ Devericks. Larry was a member of the Grace United Methodist Church in Mesa. Please join with family and friends to honor Larry. Visitation will be held at Bunker Family Funeral, 33 North Centennial Way in Mesa, on Friday, March 23, from 6 to 8 p.m., and on Saturday, March 24, from 10 to 11 a.m. A Celebration of Larry’s Life will follow on Saturday, March 24, 2018, at 11:00 a.m.